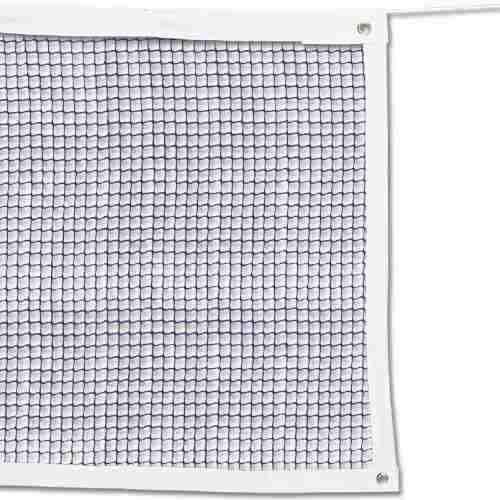 We are the renowned manufacturers, importers and exporters of a wide assortment of Badminton Net. Being a client centric organization, our team offers these nets in different colors and sizes so as to meet the diversified requirements of our valued clients. Our team directs its focus towards its profitability as it’s comprises fibers, woven in a grid-like structure. Established in 2007, backed by industry expertise of more than a decade, we have set benchmarks of the quality of our range.The products offered by us includes wide range of Sports Equipments & Accessories like Pool Table, Billiard Table. Apart from manufacturing quality sports equipment, various kinds of branded sports equipments are also available with us which are imported from various countries of the globe. We have a well established infrastructure that enables us to meet the ever increasing demand of our range of products. The team of expert professionals make use of advanced technology and innovative designing techniques to enhance the quality of our range. The various machines installed make use of Eco friendly technology that reduces the emission of toxic gases, waste water and other pollutants. With the diligence of our professionals and our understanding of the needs of our clients, we have expanded our business not only across the country but also in Australia, New Zealand and Central America to name a few.These are available in Chandigarh, Mohali, Panchkula, Haryana, Punjab, Himachal Pradesh or Entire North india.